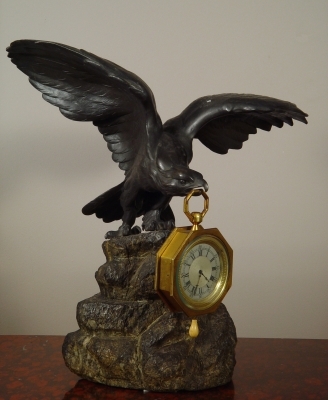 A decorative and good eagle shaped watch stand with an 8-day clock watch with quarter repeat, circa 1870. 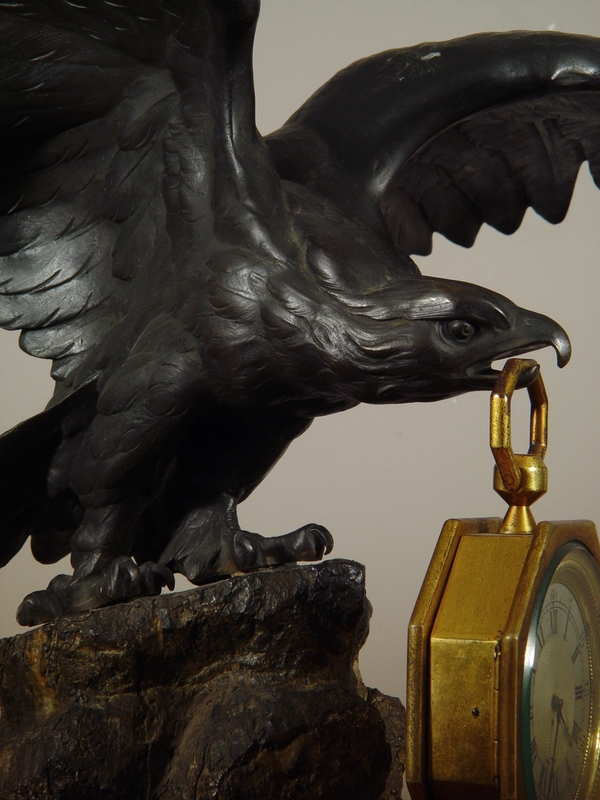 A patinated bronze Eagle with its wings spread on a rock. 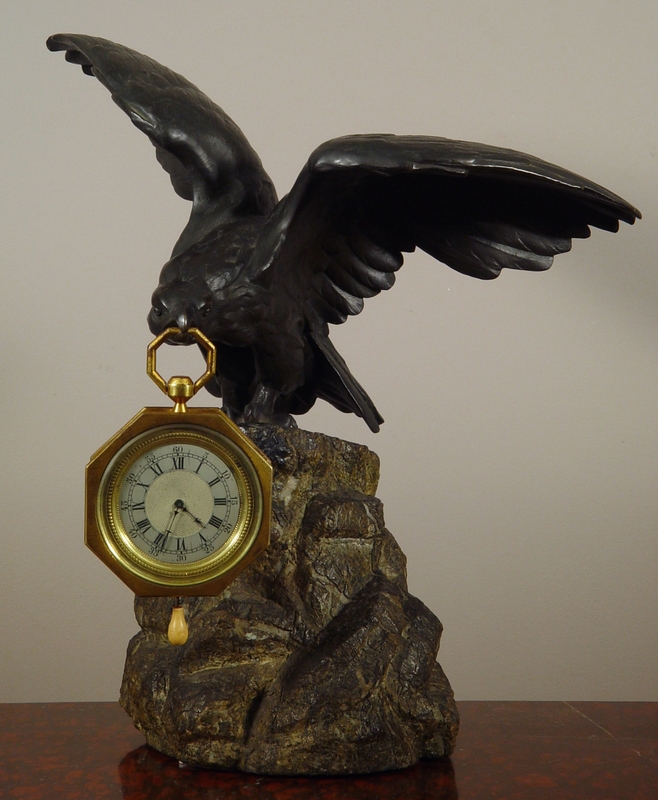 In its mouth an octagonal shaped gilt clock watch with octagonal suspension hoop. 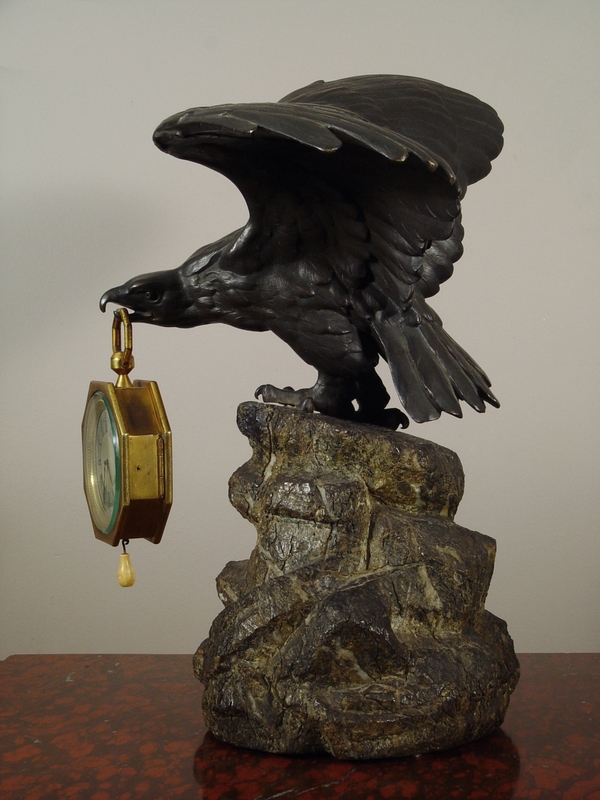 The engine turned silvered dial with Roman numerals and blued hands. 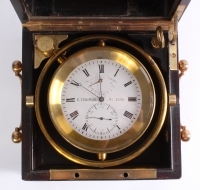 8-day rear wound movement with balance wheel and anchor escapement. Pull quarter repeat on two gongs.